EAST on Sunset Blvd. to Bellagio Drive. the stop sign onto De Neve Drive. on Sunset Blvd. to Bellagio Drive. in this area while you unload your belongings and check in. 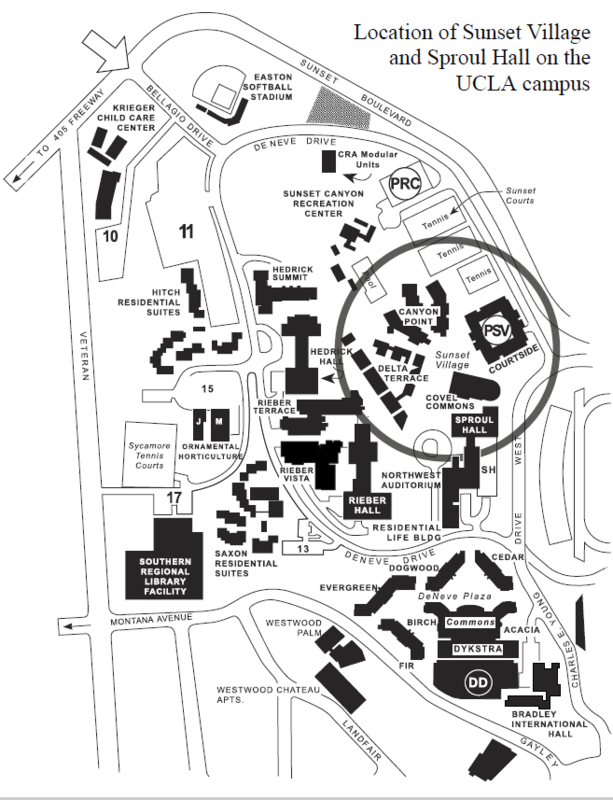 the Covel Commons building will be directly in front of you. Turn RIGHT and walk along the outside of the building.